The last shape has evolved from a previous version of our popular Lynx model, with a wider forefoot and slimmer heel providing a secure and comfortable fit for the average foot. The upper consists of a premium quality unlined split leather, with a padded, wide opening neoprene "V- tongue". This works in conjunction with our full length lacing to provide a secure and comfortable fit. 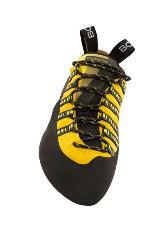 Our V2 Rand™, a 2-part rand that tensions a much larger area of the shoe, provides the ultimate heel fit. The medium-soft midsole and marginally downturned last shape combine to produce excellent edging performance, while our super-sticky Zenith™ rubber provides friction on even the most delicate slab. 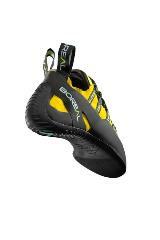 Boreal Lynx is a precise, sensitive and comfortable shoe. 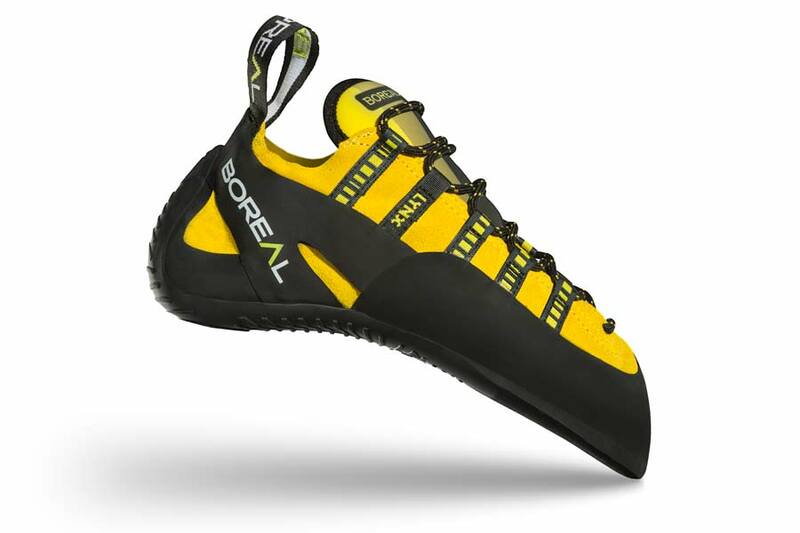 It is ideal for vertical to moderately overhanging terrain, and is the perfect option for those wanting one shoe for everything.